Makes a quick, simple, but delicious and easy to make meal. Great way to make an Omelet and Poached eggs in a snap. My husband and I both agree that this pan is really super. I had one years ago and now I'm glad I have one again. Great, morning, noon or night meals. 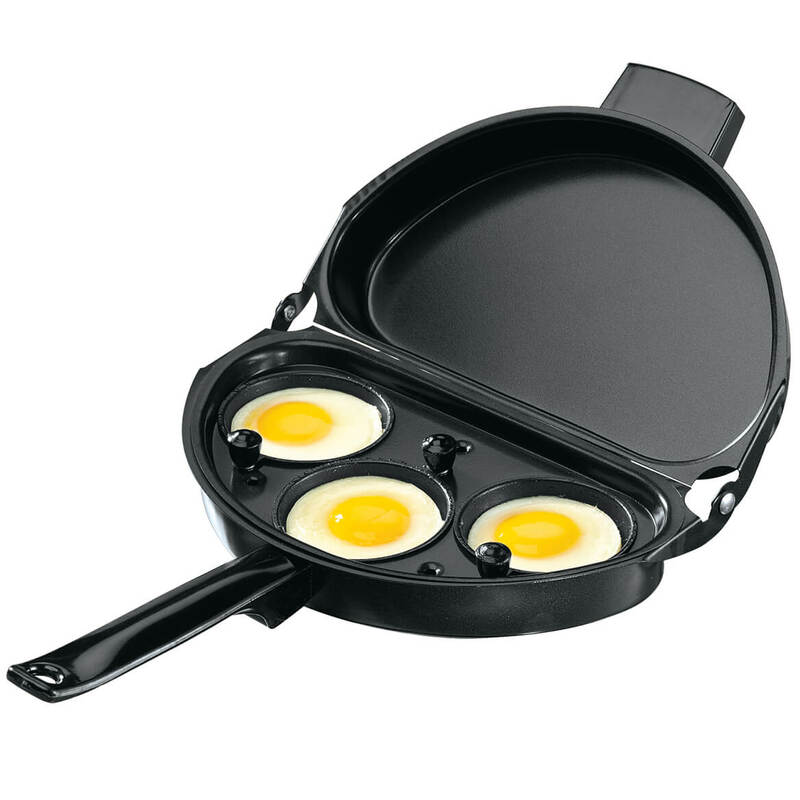 have been searching for a new omelet pan for some time. the teflon in the old one was badly scraped, so it went away. omelets are a delicious meal when nothing else will satisfy. 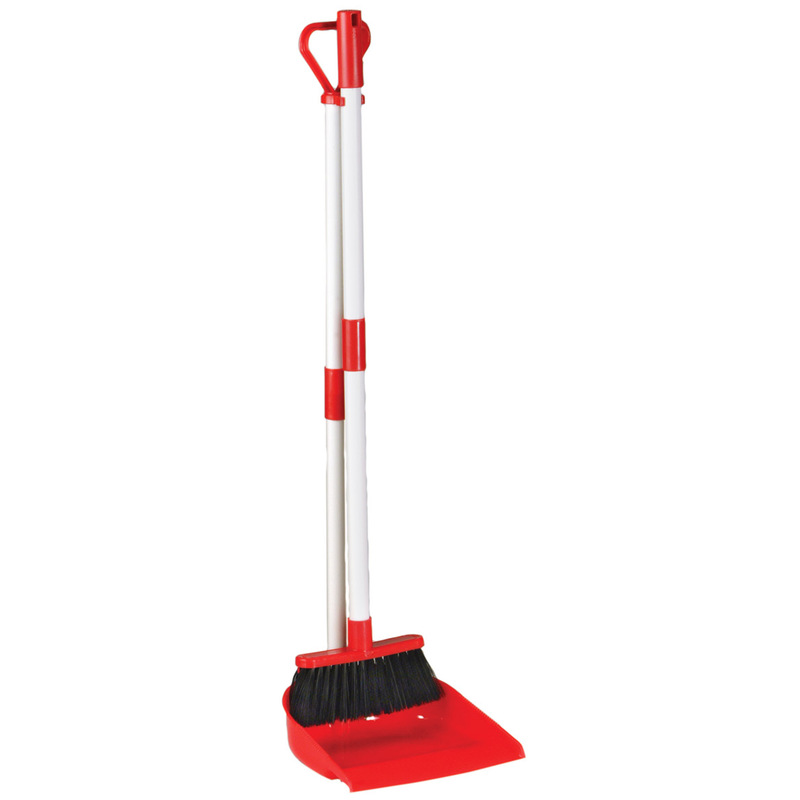 A very well made product and so easy to use! I had never prepared omelets before but this pan makes it so simple and tasty!! A bonus, an insert for poaches eggs!! Cleanup is a breeze! Excellant product !! I have used this pan for warming 2 dishes at once. Have only used this once but the omelet was perfect! So much easier than trying to flip and fold from a normal frying pan! couldn't find any where else! I live with a skeptic-that's not going to work!! I made him the most beautiful omlet he'd seen in a long time and he also ate his words! Comes only partially assembled and no instructions are included. I bought this so I could prepare an omelet for myself quickly. 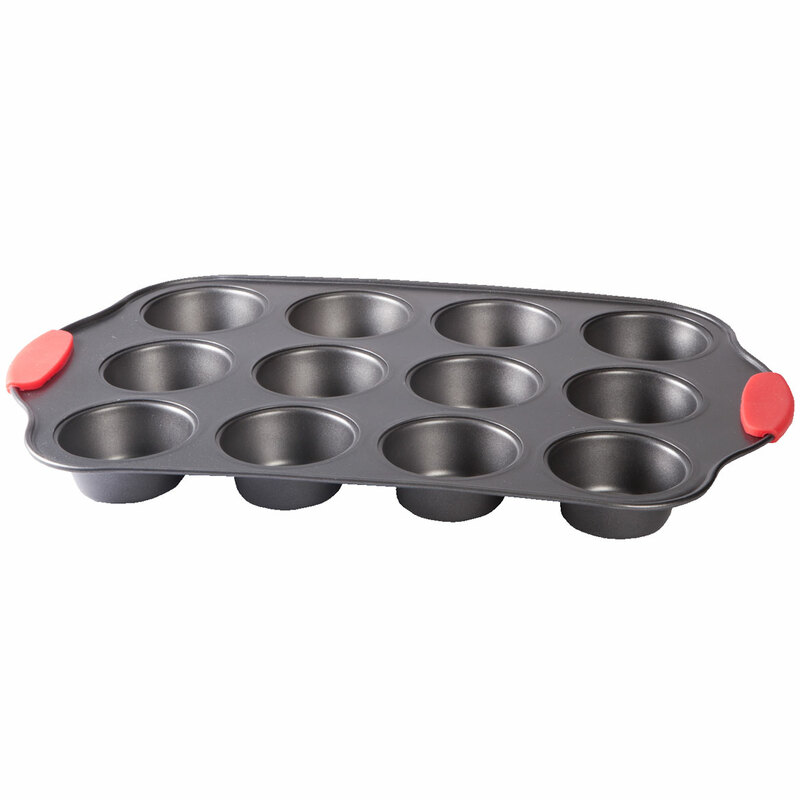 The handle twists and makes flipping the pan difficult and unsteady. No instructions. Not even a picture on the outside of the box to go by. While you can figure where the "little knobs" go, they "could go on the poacher "frame" bottom. The screws in closed for the two main handles are not the same size and one will not work on either one.... Would love for someone to make porcelain-cast iron version of this pan. ONLY USED ONCE, TEFLON SCRATCHES EASILY. THIS IS A GREAT IDEA BUT THE TEFLON QUALITY IS VERY POOR. I THOUGHT I COULD USE A METAL SPACHULA TO LIFT THE OMELET OUT OF THE PAN AND REALIZED AFTER WASH THE PAN IT WAS ALL SCRATCHED. ALSO THE BOTTOM AND THE TOP OF THE PANS GOT ALL SCRATCHED UP JUST FROM MOVEMENT ON MY GAS BURNER GRILL TOP. 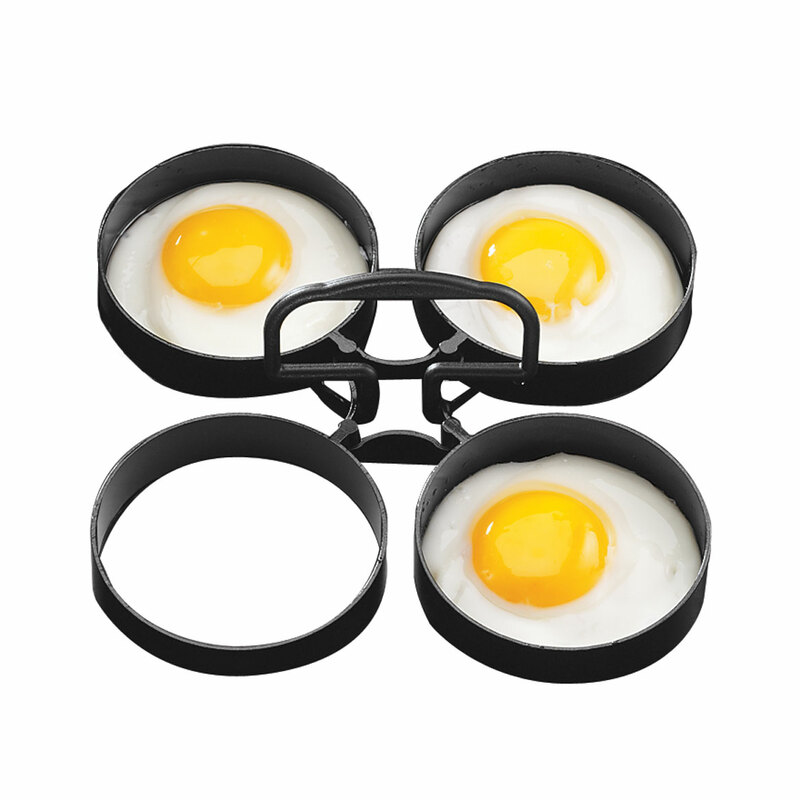 The only problem with this egg pan is that the teflon started to peel off after the 1st use from different parts of the pan and it smells awkward. But, if the customer is buying this product as a disposable (one time use) item then I guess it would be acceptable. I used this pan 4 times and the Teflon finish came off and stuck to the omelette, so I couldn't eat it. Sorry no refund. No instruction with the pan and we could not get the handle on the pan. Horrible for making omelet; eggs drips down the sides when cover is closed. 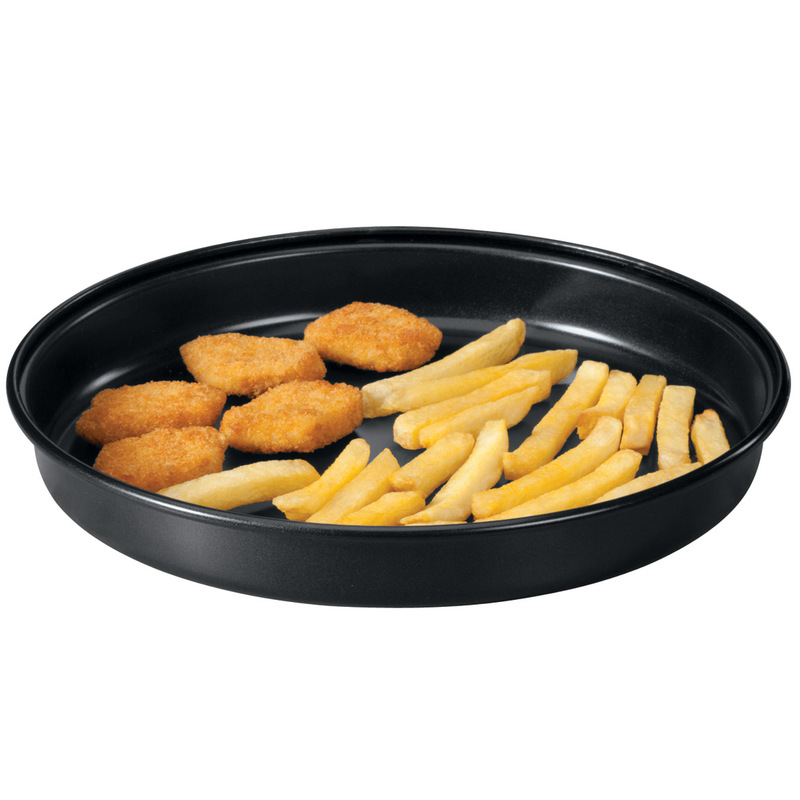 The first time i used this product the non stick surface came off with the cooked food. tossed it in the garbage. Since there were no instructions, I did it all wrong. It was easy enough to assemble, but it was too hot to handle, eggs leaked out when I turned the pan, so there should at least have been warnings to that effect, especially about fire hazards and burns. because it would be easier to make an omlet in this..its hard to flip in a frying pan.. I have been looking for this long time. Had one years ago. The catalog I have it was $12.99. The only way to have a perfect shaped omelet! Been looking for one of these in stores. Eureka! 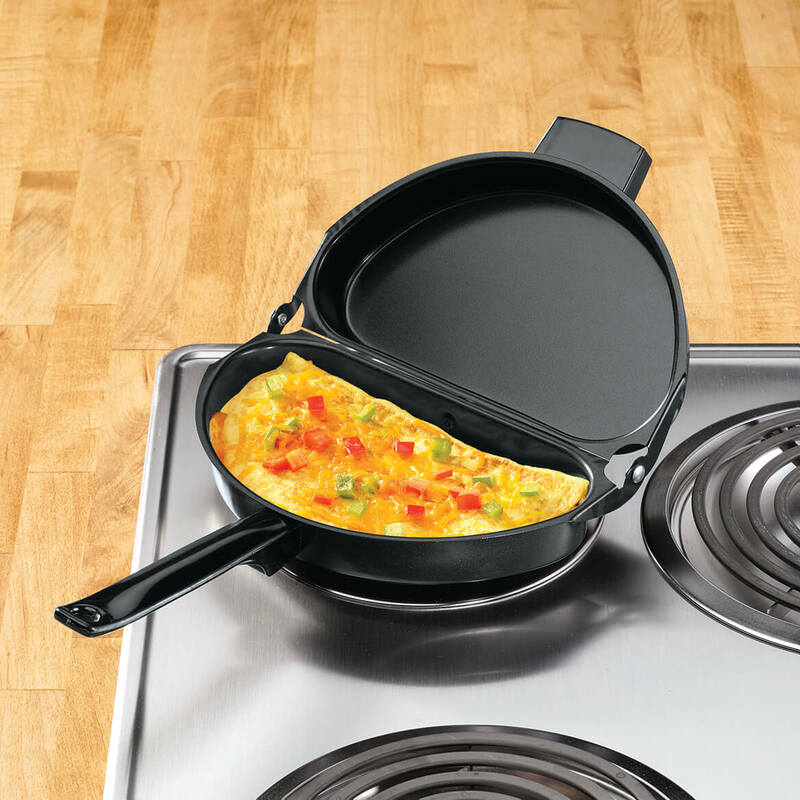 LOVE OMELETS, AND THIS MAKES IT EASIER. Looked at many and yours looked like what we want. price and just what I was looking for had one many years ago and loved it hope this will meet my expectations. We like the omelets and poached eggs. nice to have a 2 in 1 item. I have one for pancakes and it's so easy to use. 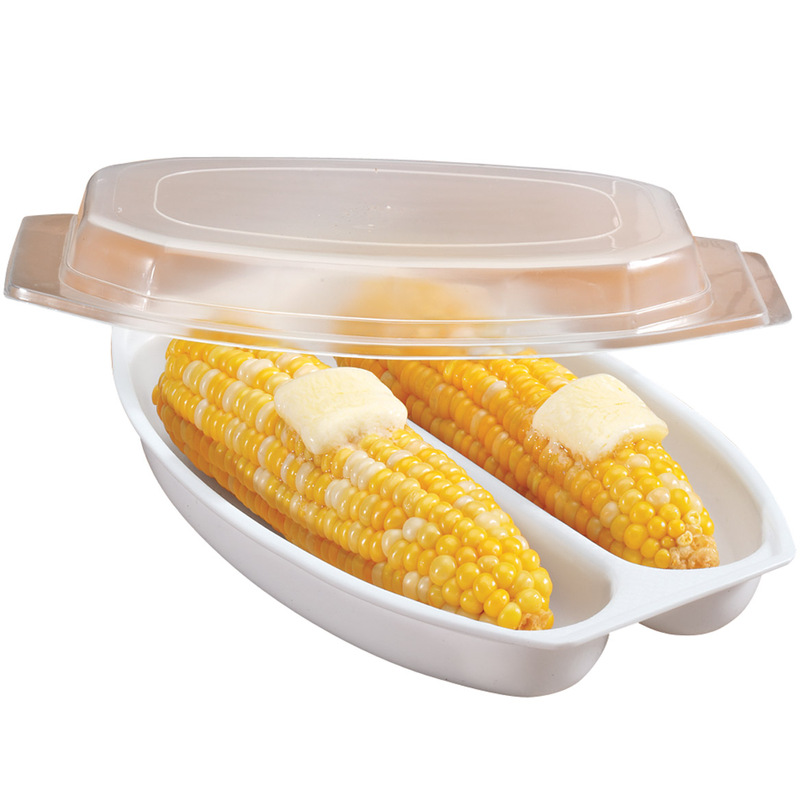 No mess no overfilling and easy to clean. Item difficult to find for oven use. I like omelettes, and this looks like a good way to prepare them. Non stick a must. To make my meal preparations easier. to make a good omelet that looks like an omelet; not spilling all over the pan. I used one before and it worked very well. It was on my daughter-in-laws "hint" list for Christmas & I couldn't find one at any of our local stores. is the pan a metal? BEST ANSWER: yes and it works great! Very happy with it..
do I fill one side to cook and then flip the pan? Not worth the postage to send it back,ftr a couple of omlets the paint came off one side anf ruined theomlet!! thids this is not a not stick item, i have thrown mine away!! i don't know if you have to flip the pan, but i do and they come out great. so yea flip it. I use mine all the time, it makes perfect omelets. Yes, you fill the one side close the pan, when it has cooked on that side you flip it over and let it cook on the other side. 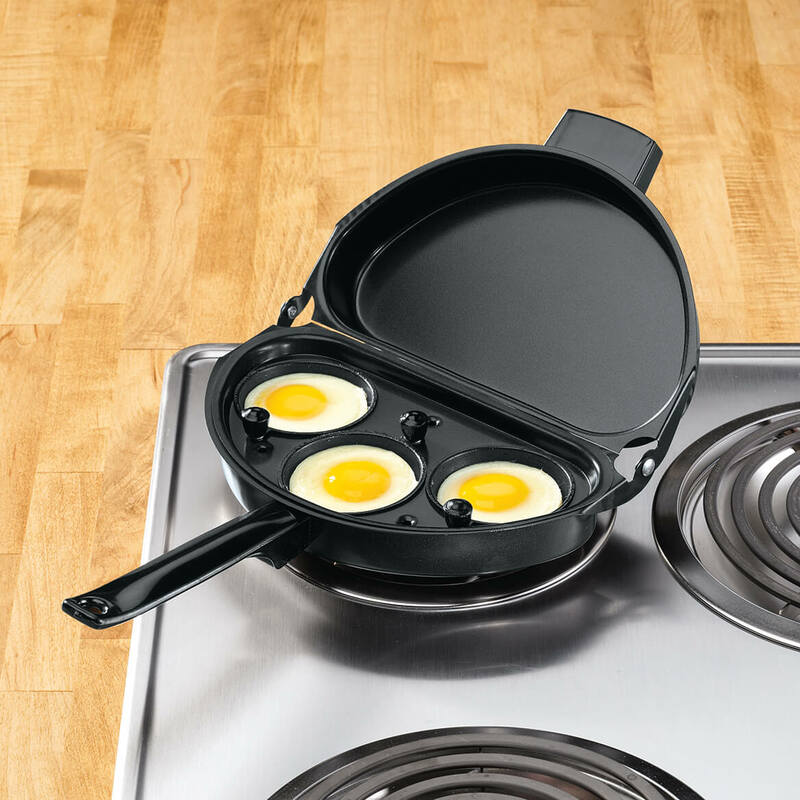 I do not use this pan to make omelets. it makes a big mess. I only use it to pouch eggs. HOW DO YOU USE IT? DO YOU POUR INGREDIENTS INTO EACH SIDE? BEST ANSWER: I put all ingredients in one side, when that side is almost set I turn it over, but I really prefer to just use the skillet. I had a mess the times I have tried to use it. Just being honest. Thank you for your question. You pour into on side, cook the one side and flip over and cook the other. We hope this information will be of help to you. how do you make omelet with veggis inside adn not on top as shown? BEST ANSWER: Thank you for your question. Mix the vegetables in the eggs before putting in the pan. We hope this information will be of help to you. what is there to assemble? THE description of this item says "easy assembly". What do I have to assemble? BEST ANSWER: all you have to put together is the handle. however, I would not buy this item again. making an omelet with this makes a big mess. I only use it now to pouch eggs. You have to attach the handle. I bought the pan awhile ago, but if I remember right, the handle screws into the pan. How do you poach eggs in this?